carried pomanders filled with scented wax balls or perfumed cloth. 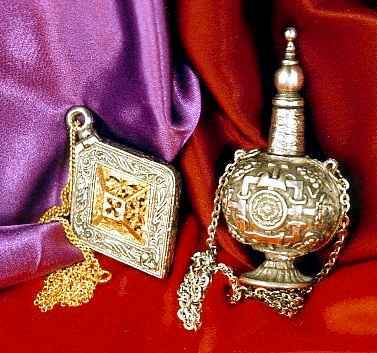 Scent Bottle (shown right). English, mid sixteenth century.